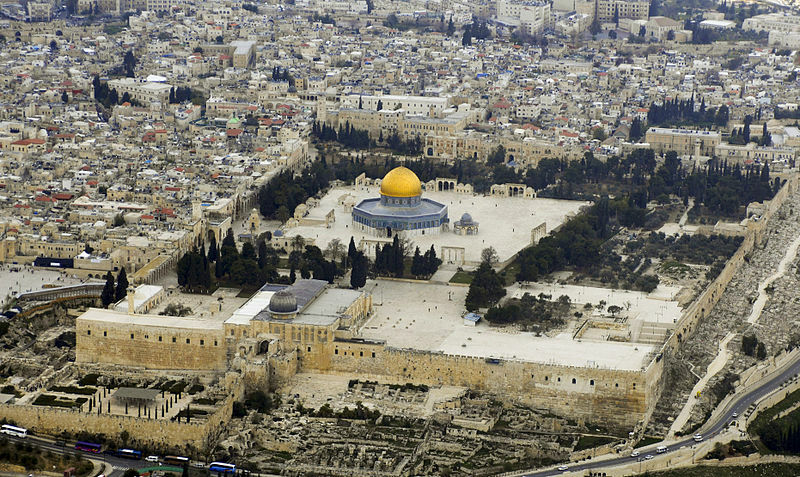 I wrote about this in an Eye of Prophecy article, entitled, Jerusalem … City of Peace? Published 12-27-14. 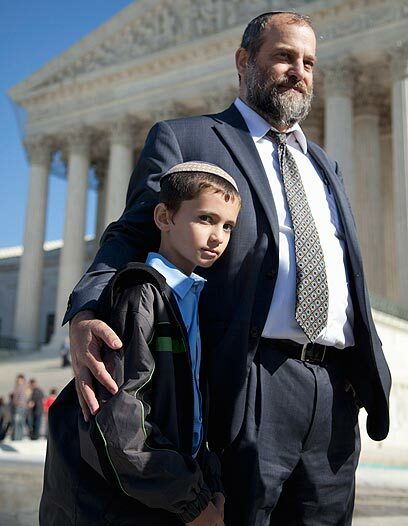 That article originated from a November, 2014 agreement by the United States Supreme Court to review and rule on a decade old (lower) court struggle of whether the passport of a 12-year old Jewish boy, Menachem Zivotofsky, born in Jerusalem—whose parents (Ari and Naomi Zivotofsky) are American Citizens—could list Israel as his place of birth, rather than just Jerusalem. As indicated in that prior article, the crux of this conflict has far-reaching repercussions beyond one passport of one Jewish boy, although the issue was of vital personal importance to the Zivotofsky family. Exactly What Did the Supreme Court Rule On? I beg to differ. 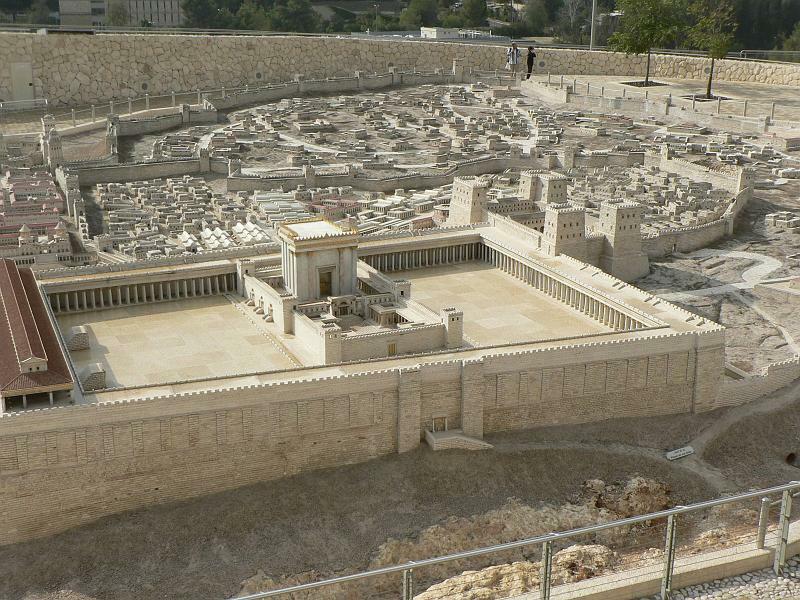 The Supreme Court decision had everything to do with Jerusalem as Israel’s capital. Shapiro was merely (barely) technically correct by saying the Supreme Court’s review was to determine whether the U.S. Congress or whether the Executive Staff has the (legal) authority to recognize foreign governments and their capitals. But that was only a derivative academic offshoot of the original case, which was the issue of the passport that was directly connected to the dispute of whether Jerusalem is Israel’s capital; or whether it is an international city that is not part of any country. There’s no getting around it. To say that the Court’s decision was “solely” about the separation of powers (Executive Branch versus Congress) is a deflection, distortion, and denial of the real controversy. 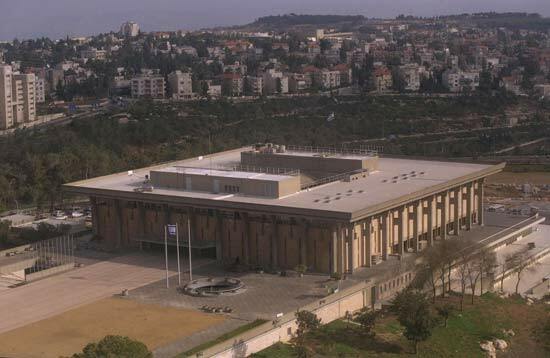 The Supreme Court ruled (6-3) in favor of the Executive Branch, despite a law passed by Congress in 2002 that required the State Department to recognize “Jerusalem, Israel” or just Israel as the birthplace on passports … for Americans born in Jerusalem (of which there have been approximately 50,000 since Israel became a State). In so doing, that Congressional act effectively recognized Jerusalem not only as an Israeli city, but also its capital. Why can I, with a great deal of certainty, say that Shapiro was wrong when he claims that the court’s decision was solely over the quarrel of whether the Congress or the President has the greater (final) authority to recognize sovereignty of foreign countries; in this case specifically applying to passports of a U.S. Citizen born in Jerusalem … dual citizenship? Although the passport problem precipitated this extraordinary review by the Supreme Court; the long-term, overriding issue is not just about passports. The underlying motive for the US Supreme Court’s decision to review the case, then rule on it, was all about Israel’s historical and contemporary right to declare Jerusalem as its capital. If it wasn’t about that, then why does our State Department stipulate that Jerusalem must be listed on such passports, not Israel? What difference would it make otherwise? Why would they care, unless “Israel” stamped on a passport signifies and validates Jerusalem as a (the capital) city within Israel’s national borders? Meaning if you are born in Jerusalem, then you are born in Israel. How much clearer can this be? President Obama and his staff fully intend that a Palestinian State will be created and that Jerusalem (at least the eastern half of Jerusalem) will be the capital of this state. In order for that to happen, the United States Executive Staff and now the Supreme Court has overruled the U.S. Congress (who is empowered to make such laws, with the main role of the President to enforce those rulings). At the time the bill was passed, US President George W. Bush actually signed it into law but never really enforced it, nor has President Obama. Both Presidents Bush and Obama considered the congressional act to be more of a recommendation, not the law. Really? I guess even Presidents make mistakes! It’s equally clear that the Supreme Court’s decision was immensely influenced by and primarily predicated on the status of Jerusalem itself, not on whether the US Congress or the Executive Staff has the authority to declare recognition of foreign nations or passports. Frankly, I’m amazed that the Supreme Court even agreed to take this case in the first place. But once they did, they missed a golden opportunity to acknowledge and affirm the right of Israel to determine its own capital. In fact, some members of the Supreme Court gave away their true intentions early on by voicing their real motives when they agreed to review the case. The following is a quote from my previous article in which I refer to Justice Elena Kagen, one of the liberal members of the Supreme Court. In light of the ruling, it’s quite evident that five other members shared her sentiments to some extent or another … as shown in the recent 6-3 decision. As noted, this observation of Ms. Kagen reveals the (hidden) agenda that most members of the Supreme Court had when they ruled in favor of President Obama’s viewpoint and effectively against Israel and tens of thousands of American Jews born in Jerusalem. With the ultimate consequence of once again denying Jerusalem as the capital of Israel. God forbid that the Arab Muslim world should be provoked like that! She made it clear that her vote (it’s obvious now, but even then, that she had already made up her mind) would be conditioned on the politically correct need to elude any further strife in the Middle East; which, in essence, would trump the real issue of whether Israel had the right as a sovereign state to declare Jerusalem as its capital. Thus, a vote to support the Congressional Act in 2002 would be tantamount to recognizing Jerusalem as Israel’s capital, which would only make things worse in the Middle East. 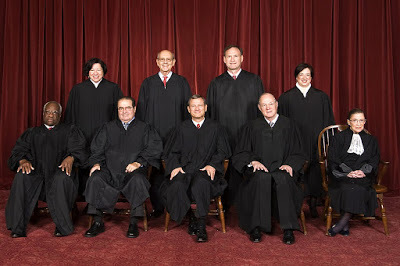 The politically correct world view of six Supreme Court justices and their ensuing decision hinged on one perceived urgency: Whatever it takes, don’t increase the tensions in the Middle East that already exist. Here is an excerpt of my response to her observations as quoted from the previous article, Jerusalem … A City of Peace, which is even more pertinent now that the decision is in. That part, she got right … mostly. Jerusalem is a big deal, unlike any other city in the world. But when in our time was Jerusalem not a tinderbox? I can tell you with a great deal of historically factual evidence to back me up: NEVER has Jerusalem since Israel’s rebirth in 1948 not been a powder keg ready to explode. I also said: Why is Jerusalem disputed as part of Israel … as Israel’s Capital? More specifically, who or what entitles the United States State Department or the Supreme Court or any other country or even global institutions like the United Nations to determine whether any city of any country qualifies as its Capital? Isn’t that the inherent sovereign right of a nation … to choose its capital? …Jerusalem was the headquarters (Capital) of the ancient kings of Israel, and the self-governing land (State) of Israel was given to the Jews by God, himself. That is reason enough. What if all the nations on earth (or just one of those countries) refused to recognize Washington D.C. as America’s Capital? Choosing, for example, New York City because the United Nations is headquartered there. What do you think our President and the State Department would do about that? Or Congress, or the Supreme Court? Since when has the United States ever recognized the sovereignty of a foreign nation without accepting whatever city the nation designated as its capital? I haven’t looked it up, but believe I can say with a great deal of certainty: NEVER. Except, that is, for Jerusalem. When Israel became a sovereign nation in 1948, she chose (reaffirmed the historical record) Jerusalem as the capital of the reborn Jewish nation; even though part of eastern Jerusalem was conceded to Jordanian regulation, including Temple Mount. If Palestinian Arabs had any historically viable religious or political attachment to or concern for Jerusalem, then why is Jerusalem not once mentioned in the Koran? Any former Arab association with Jerusalem (during the rise of Islam) was to make sure the Jews didn’t live there (in great numbers) or claim it as the Holy City of Israel. That’s why they built the Dome of the Rock on Temple Mount, where the Jewish Temple once stood. President Obama will not recognize Jerusalem as Israel’s capital because he contends that Jerusalem must be part of the negotiations for a Palestinian State. Knowing full well of Israel’s solemn promise to her people … that Jerusalem is the ONE thing that cannot be negotiated. That Jerusalem always has been and always will be Israel’s undivided capital city, not just West Jerusalem. In actuality, there is no such thing as West Jerusalem and East Jerusalem … that is what the rest of the world thinks and refers to. 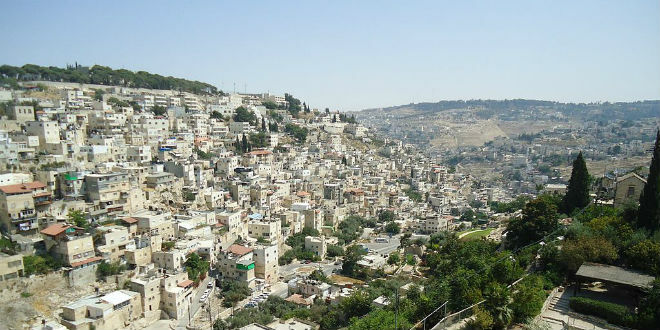 Some Israelis refer to east and west Jerusalem only because virtually the entire world does so. Thus, President Obama and many heads of states are simply refusing to accept Israel’s right (as a sovereign nation) to name Jerusalem as its capital. As said earlier, what would our President do if, for example, France refused to accept Washington D.C. as America’s capital? Do you think we would permit France to place their embassy in New York City? Or meet with their ambassadors in Boston? I think not. But that is exactly what our State Department expects of Israel. It gives a whole new meaning to the term, Double Standard. And then Jerusalem’s Mayor Nir Barkat: “Just like Washington is the capital of the U.S. and Paris is the capital of France, Jerusalem has been and will always be the capital of Israel.” (Which is the analogy I used in my previous article). This last quote should preclude anyone, especially a U.S. citizen, from an overreaction to what they might consider the brash, unwarranted (who do you think you are) statement from Zivotofsky’s attorneys when they said that U.S. Presidents (based on public opinion) had adopted the “absurd position that no country is sovereign over Jerusalem.” I suppose the statement could have been toned down a bit. Yet the attorney was simply telling the truth by inferring that the American public (and so should our Presidents) would not tolerate and would consider it absurd if other nations decided that Washington D.C. was not the sole, undivided capital of the United States. Conversely, that the United States should extend individual and national diplomatic courtesy by recognizing Jerusalem as the (undivided) capital of Jerusalem. But that is exactly what the United States expects of Israel. I repeat for emphasis: Exactly. The question of whether the Congress or the President has rightful authority over diplomatic recognition of foreign nations (and their capitals … which is the same thing as the nation itself), is mostly irrelevant. I personally believe Congress has this prerogative, but I wouldn’t take much issue at all over the dissenting opinion that this right belongs to the Executive Branch. Instead, the fundamental and destiny-determining issue before the United States Government, nations the world over, and you and me is the right of Israel (not US constitutional rights) to declare Jerusalem as its capital … seat of government. What about Israel’s rights?! Or the right of any foreign nation to name its capital? That’s the decisive and divisive issue in front of us. But since the Supreme Court has sided with the Presidency, then what about the fact that no sitting U.S. President has ever recognized a foreign country as a sovereign nation, without (default) acceptance of that nation’s capital. For that reason alone, Jerusalem is unprecedented in the annals of U.S. foreign policy; thus, the Supreme Court shouldn’t have been involved in such a decision. Particularly, when the United States Congress passed a law that granted Israeli citizenship and passport rights to Americans born in Jerusalem. By constitutional mandate, the US President is obligated to enforce this law (any law) passed by the Congress which represents the people of the United States of America. So if the Supreme Court is going to evade the real reason for their review and decision (status of Jerusalem), the least they could have done was to acknowledge the fact that the ruling should have been whether the Executive Branch can refuse to uphold a law enacted by the Congress of the United States. (Either they do or they don’t). Or, putting it another way: Does the President have the right to ignore, circumvent, or defy an act of Congress after the fact? Because the fact is: President George W. Bush didn’t veto the bill. Rather he signed it, with the implicit understanding and obligation that the Executive Branch would enforce it. Thus, the problem isn’t who has the authority to recognize foreign nations (save that for another bill for another day). Nevertheless, the Supreme Court ruled that this Congressional Act was unconstitutional; despite the fact that President Bush signed it into law. It’s like the Supreme Court was protecting the Executive Branch from itself … from a poor decision to approve an Act of Congress! God bless the USA should be followed by, God help this country. The actual argument is what the case was all about in the first place … Jerusalem as not only a city of Israel, but also its capital. Does Jerusalem belong to Israel? If anyone, including presidents, prime ministers, parliaments, congresses, and individuals on the planet say No, then they are denying one or more of the following: (1) that all Sovereign Nations have the inalienable right to declare any city in its borders as its capital. (2) Jerusalem is legally and territorially part of Israel, a Sovereign State with boundaries that border Syria, Lebanon, Jordan, and Egypt; as opposed to non-existent internal boundaries with an equally non-existent Palestinian State. (3) That Israel’s victory in the Six-Day War in which she regained control (control, not ownership—as Jerusalem already belonged to Israel) was invalid. Meaning that Israel had no right to defend herself or recapture and assume control over a city that belonged to them in the first place. (4) Most important of all: The ancient, but timeless promissory covenant deed initiated by the one true God for the Jews. That Israel (much larger than modern-day borders) would be given to the Jews as an everlasting inheritance. Non-negotiable! “After Lot had gone, the Lord said to Abram, ‘Look as far as you can see in every direction—north and south, east and west. I am giving all this land, as far as you can see, to you and your descendants as a permanent possession … Go and walk through the land in every direction, for I am giving it to you’” (Genesis 13:14-17). Later, these boundaries were specified in more than one Bible passage, including an amazing detailed description requiring seven chapters (Joshua 13 through 19). Three thousand years ago, King David made Jerusalem what we in modern terms call the capital of Israel. There are many Bible passages that undeniably show Jerusalem as the geopolitical, cultural, and religious center of Israel … thus, its capital. Jerusalem and its companion name, Zion, can be found hundreds of times in Scripture. Whereas, Jerusalem is not mentioned even ONE time in the Koran. That alone should tell us to whom Jerusalem belongs, and who has the right to declare it their capital. How strange: If children of American Jews were born in any other city of Israel, their passports would show, Israel, as their place of birth. 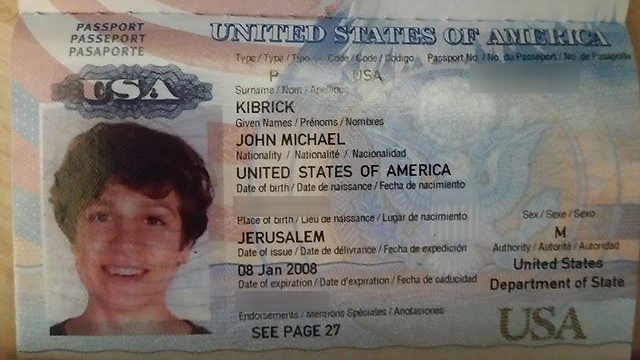 For that matter, other than Jerusalem, what other passport the world over shows just the city of birth? Easy answer: None. It’s always the country (including the state if a USA passport) of birth. My passport shows, Kansas, USA. When I displayed my passport to Israeli officials during my trip to Israel in 2006, no one asked me what city of Kansas I was born in. How ironically repulsive: the stamp of Jerusalem on a passport for someone born in Jerusalem is both a real and symbolic denial that Israel’s Holy City is even part of Israel, let alone its capital. A little history lesson: “When the Most High gave the nations their inheritance, when he separated the sons of man, He set the boundaries of the peoples according to the number of the sons of Israel. For the Lord’s portion is His people; Jacob (Israel) is the allotment of His inheritance … He encircled him (Jacob or Israel), He cared for him, He guarded him as the pupil of his eye” (Deuteronomy 32:8-10, NASB, italics for emphasis). *Note: The italicized words in the Complete Jewish Bible are translated, “…according to Israel’s population.” This means that God—in his infinite wisdom, plan, and fairness—selected a very small part of the earth for the Jews (Israel), based on what he knew would be a (comparative) proportion of Israel’s population to the rest of the world. “Then I, myself, will be a protective wall of fire around Jerusalem, says the Lord. And I will be the glory inside the city … After a period of glory, the Lord of Heaven’s Armies sent me (Messiah) against the nations who plundered you. For he said, ‘Anyone who harms you harms my most precious possession. (NASB reads, touches the apple of His eye) I will raise my fist to crush them … Then you will know that the Lord of Heaven’s Armies has sent me.’ The Lord says, ‘Shout and rejoice, O beautiful Jerusalem, for I am coming to live among you. Many nations will join themselves to the Lord on that day, and they, too, will be my people. I will live among you, and you will know that the Lord of Heaven’s Armies sent me (Messiah) to you.’ The land of Judah will be the Lord’s special possession in the holy land, and he will once again choose Jerusalem to be his own city. Be silent before the Lord, all humanity, for he is springing into action from his holy dwelling” (Zechariah 2:5-13). Israeli Occupation (of the West Bank)? “Don’t bother them with the facts,” is a cynical but nevertheless accurate assessment of and accusation against those who pursue a seemingly worthy cause that is simply not based on history, reality, or the obvious evidence in front of them. For the most part, we can overlook and even excuse the average person’s opinion of this or that issue when they sidestep the truth of the matter, as long as they are willing to (eventually) listen objectively to the facts and consider the possibility that they could be wrong, in light of those facts. But when the President of the United States persistently disregards the true story (history) of Israel, we can rightfully question his real agenda for Israel. Does President Obama truly believe what he said during an interview with a London-based Arabic newspaper Asharq Al-Awsat? Apparently, that is exactly what he believes, as he hasn’t changed his viewpoint. The implication of his words is all too clear: The occupation pertains to the Jewish settlements in East Jerusalem and a small area of the rest of the West Bank; which is, in reality, Judea and Samaria—part of Israel proper. The daily indignities are clearly meant by the President to originate from and by the Israelis against the Palestinians. That they deserve to live in an independent state so their children can live in dignity and opportunity, supposes that the Jews have stripped the Palestinians of all dignity and denied them opportunities they otherwise would have. Really? So, simply create another state within a state and, presto, you have instant peace between Jew and Arab. Palestinians will immediately possess dignity and seize opportunity that ceased to exist after Israel became a State in 1948?! What about the dignity and opportunity for peace and security of millions of displaced Syrians and Iraqis not to mention hundreds of thousands of Arabs killed in civil war between Muslim Sunnis and Shi’ites? What about the slaughter of Christians throughout the Middle East and Africa by terrorist groups and governments alike? What is the United States and the European Union doing about that? I mean really doing? 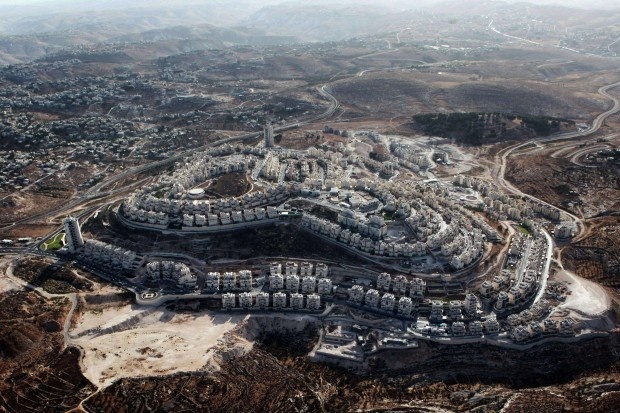 This occupation mindset of the White House and of several European nations was once again (recently) vented against Israel when they denounced Israeli settlement construction plans in Jerusalem for 900 homes/apartments. Actually, this housing development was first announced in 2010 during Vice President Joe Biden’s trip to Israel, which created a diplomatic clash between Washington and Israel. According to US State Department spokesperson Jeff Rathke, this plan of additional housing was “damaging and inconsistent” … harmful to resolution of the conflict between Israel and the Palestinians. Never mind that both Israelis and Palestinians fully realize that a few more Jewish settlements in East Jerusalem will not bring a screeching halt to peace negotiations. Because, the fact of the matter is: there are no negotiations for peace or anything else. Moreover, all past negotiations have been broken off by the Palestinians through terrorist attacks, intifada uprisings, missile launchings, or outright rejection of Israeli land offers in exchange for peace. For example: When the Israelis pulled out of Lebanon years ago, the terrorist organization Hezbollah grew stronger and instigated a war against Israel. When former Israeli Prime Minister Ariel Sharon closed down all Jewish settlements in Gaza and forcibly relocated all Israelis from Gaza, what did the Palestinians under the newly elected terrorist group Hamas do? 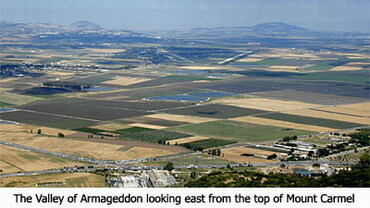 They began to launch unprecedented missile and mortar attacks (thousands) against southern Israel. Not until Israel built a security fence through the West Bank did Palestinian suicide (homicide) attacks against innocent Israelis virtually cease overnight. Israel has been (time and time again) sanctioned and criticized for this wall, which is no different than the fence erected by the United States along the Mexican border, to stem the tide of illegal immigrants. At least these illegals didn’t cross the border to kill Americans, like the Palestinians did to the Israelis. 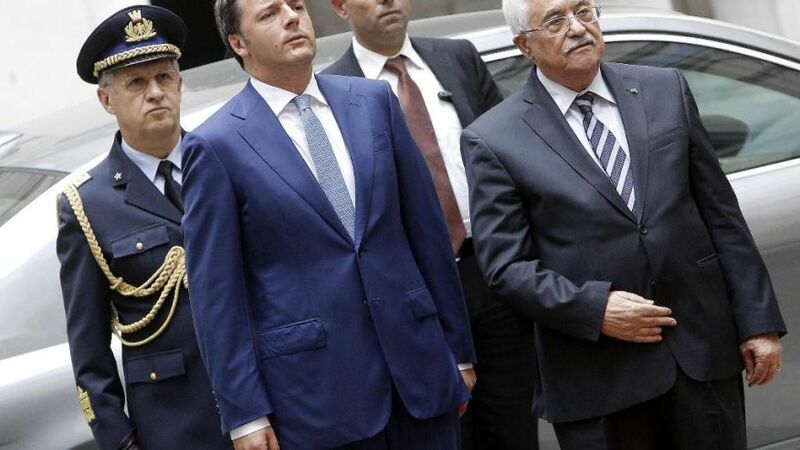 With the EU’s clear connotation that the Palestinians ARE committed to negotiations. Really? As is said: Give me a break! It’s obvious that Rathke, along with the entire White House staff and the EU, has no clue what is legitimate and illegitimate when it comes to Israel and its borders. More on that shortly. Although President Obama is certainly not the only head of state to push for a Palestinian State, it’s becoming all too evident that our President is adopting a far more aggressive approach. To the extent of doing something unthinkable: supporting, if not actually introducing, a unilateral resolution in the United Nations to form a Palestinian State. Which would circumvent and negate any input from Israel, or any viable dialogue between the Palestinians and the Israelis. In other words, if Israel doesn’t at least negotiate for a two-state solution, then the United States will, through the United Nations, create a Palestinian State of its own making, boundaries and all. You may recall that the PA’s petition to the UN to be recognized as a sovereign state (even though there still is no such thing as a Palestinian State) fell short of approval in 2012. However, the United Nations granted, “nonmember observer status,” for the Palestinians, which is normally the final step before full membership is approved. In the past such nations as Japan, Austria, Switzerland, Monaco and Vietnam were granted full membership status in the United Nations. Currently and curiously, the only other entity that has observer status is the Holy See (Vatican). Ostensibly, the justification for Abbas’ declaration that the time has arrived for an independent Palestinian State correlates with the unity agreement between the Palestinian Authority (which rules the West Bank in Israel) and the terrorist organization Hamas (which rules in the Gaza Strip) that was signed in June of 2014. However, as the entire world knows, this unity agreement is a sham, producing more disunity than existed even before such an agreement. Neither of these corrupt organizations will concede any degree of authority to the other, as to who should govern a future Palestinian State. Furthermore, if such a state was created, there would undoubtedly be civil between these two groups just as there is between rival Muslim factions in Syria, Iraq, Yemen, and Libya. *Note: As this article was in progress, another amazing story crashed the headlines: The Vatican, directly through Pope Francis, has drawn up a document that would recognize The Palestinian State … a state that doesn’t even exist! The Vatican is evidently calling it a treaty that would affirm the UN General Assembly’s recognition of (a potential—the idea of) a Palestinian State. Mahmoud Abbas is scheduled to meet with Pope Francis on Saturday (May 16th), the day that this Eye of Prophecy article will be published. But as periodically mentioned in past Eye of Prophecy articles, it’s not just all of East Jerusalem (there is no legal distinction between West and East Jerusalem) that the Arabs want; it’s all of Jerusalem, all of Israel that they lay claim to. Which is why on two notable occasions in the past, the Palestinian Authority (when Yasser Arafat was in control) rejected generous offers from former Israeli Prime Ministers Ehud Barak and Ehud Olmert to relinquish East Jerusalem and over 93% of the West Bank to the Palestinians. 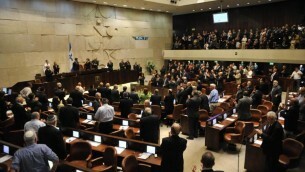 In exchange for virtually nothing else than recognition of Israel as a sovereign state. That was too much to ask of Arafat and is still too much to ask of the Palestinian Authority and Hamas—neither of which has backed down from their sinister scheme to drive the Jews out of Israel. 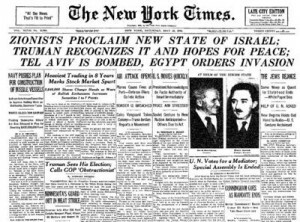 The international law referenced by Beres was expressly validated by the United Nations vote to recognize Israel as a sovereign state in November, 1947; followed by the rebirth of Israel as a nation in May, 1948. But the Palestinian Mandate cited by Beres goes back much further. 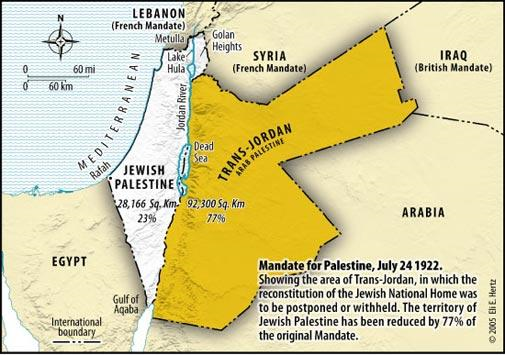 On June 30, 1922, the U.S. Congress in a joint resolution unanimously endorsed the “Mandate for Palestine” which affirmed the irrevocable right of Jews to resettle in the area of Palestine … anywhere they chose, between the Jordan River and the Mediterranean Sea. Beres is saying the same thing that I am saying and others who recognize Israel’s right of perpetuity possession and prerogative to occupy ALL of Israel’s boundaries, should they choose. But the Jews have both politely and pragmatically afforded Arabs in Israel the privilege to “occupy” two fairly large portions (relative to the total land space of Israel) of Israel … West Bank including east Jerusalem, and the Gaza Strip. You read that right: In essence, Israel has extended permission for non-citizens of Israel (Palestinians who have refused to apply for Israeli citizenship unlike hundreds of thousands of their Arab brothers who are called Israeli Arabs—citizens) to occupy the West Bank, East Jerusalem, and the Gaza Strip. (Through United States tradition, we would call this homesteading). But that doesn’t mean that Israelis are, therefore, illegally occupying a “foreign land” when they build subdivisions in East Jerusalem. It is already their land! Do you understand the difference here? If someone doesn’t think so, they are free to take up the case with God, himself. If so, I would encourage them to do so with an open heart and mind that really seek to know the truth. I’m referring to the universal truth of salvation, and that salvation comes through the Jews. To include the divine covenant between God and Abraham; that he and his descendants through Isaac (the Jews) were given a very small section of this planet to pursue life, liberty, and the happiness of knowing and serving the God of the Universe. The adversarial alternative of ranting and raving against God and God’s chosen people … well, let’s see what God has to say about that. “I warned the proud, ‘Stop your boasting!’ I told the wicked, ‘Don’t raise your fists! Don’t raise your fists in defiance at the heavens or speak with such arrogance.’ For no one on earth—from east or west, or even from the wilderness—should raise a defiant fist. It is God alone who judges; he decides who will rise and who will fall” (Psalms 75:4-7). And, “The day is near when I, the Lord, will judge all godless nations! As you have done to Israel, so it will be done to you. All your evil deeds will fall back on you own heads. Just as you swallowed up my people on my holy mountain, so you and the surrounding nations will swallow the punishment I pour out on you … And the people of Israel will come back to reclaim their inheritance” (Obadiah 1:15-17). The rest of this passage describes how Israel will be restored to its original borders decreed by God, as originally found in Joshua Chapters 13 through 19. God continues to speak through Obadiah: “Then my people … will occupy the mountains of Edom … will possess the Philistine plains … take over the fields of Ephraim and Samaria … occupy the land of Gilead … occupy the Phoenician coast … return home and resettle the towns of the Negev … And the Lord himself will be king!” (Verses 19-21, italics for emphasis). Think about it: The Sovereign God who created the earth, indeed, the entire universe, picked a tiny portion of this planet for a chosen people to live. He could have selected all of the earth (except the land given to Israel) for the Jews and given only this small portion to the rest of the world. Had he done that, then the vast majority of the world’s population would be “occupying” land that doesn’t belong to us! What would you think (historically) if the colonies had subsequently given all of Washington D.C. (or even some of it, say the eastern half) back to England to govern and control? The analogy is all too clear: That would have been absurdly impractical and intolerable to Americans; it would have negated the entire reason for revolting against England’s unfair reign over the colonies in the first place. Later, we fought a civil war to deny southern secessionists from establishing a separate capital (confederate nation) in this country. If either one of these events had taken place, we could no longer call ourselves the United States of America. Why, then the double standard with Israel and its sovereign capital of Jerusalem? Why the incessant rhetoric against Israel accusing her of increasing tensions with the Palestinians by doing this or not doing that? With little to no sanctions against the Palestinians who fire mortars and missiles into Israel killing Israelis. Instead, we heap criticism upon criticism against Israel for (legally and rightfully) building more homes for their people. But now the criticism has turned to threats: How dare the Jews increase Middle East tension and jeopardize a peace process invented by the United States to solve a problem we have totally misdiagnosed with a solution that will cause more problems than it will solve. Here is an excerpt from a previous Eye of Prophecy article entitled, Jerusalem City of Peace, published 12-27-14. Throughout history, the right of victors in war (among other things) is to control land they have conquered; this is especially true of just wars, such as the American Revolutionary War and certainly the Six-Day War or Israel’s War of Independence in 1948 or the Yom Kippur War of 1973. However, when Israel defeated Egypt, Syria, and Jordan in the 1967 Six-Day War, and recaptured the Golan Heights, the West Bank, and the Gaza Strip, they relinquished much of the West Bank and nearly all of East Jerusalem including Temple Mount back to the Palestinian Arabs and Jordan; and Gaza and the Sinai Peninsula back to the Egyptians. 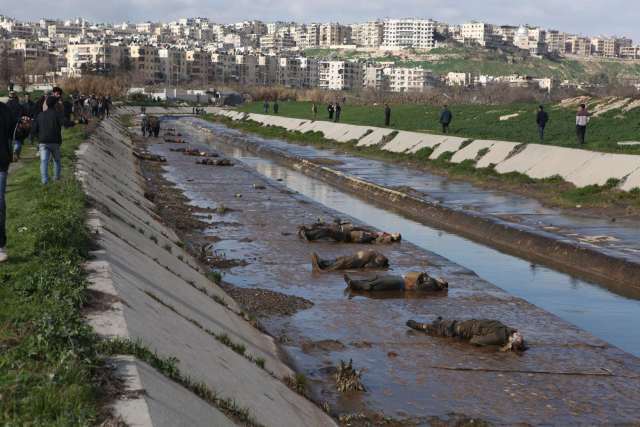 (Israel did this under extreme pressure from the United Nations and the United States). Moreover, neither Jordan nor Egypt (as indicated by Louis Beres) had any legal right to these territories in the first place. Actually, the more I hear what our President has said and is saying and study closely his real agenda, I believe it’s more than just ignorance of the facts. Indeed, the United States (President) is treading on dangerous ground by claiming that the Jews are “occupying” land that doesn’t belong to them. To make such an allegation is a deliberate distortion of the facts. More than that; it is a blatant disregard of Scriptural truth and international law. The charting of such a course by seeking to divide Israel is tantamount to raising a defiant fist in God’s face. This is not merely my opinion or the opinion of others who also keep their thumb on the pulse of Israel and the Middle East. It is the sovereign truth and opinion of God, himself. For example: “At the time of those events, says the Lord, when I restore the prosperity of Judah and Jerusalem, I will gather the armies of the world into the valley of Jehoshaphat. There I will judge them for harming my people, my special possession, for scattering my people among the nations, and for dividing up my land” (Joel 3:1-2, italics for emphasis). How can we know that the God of the Bible IS God? Conversely, that the god of the Koran or the gods of other so-called sacred texts is not God? I’ve written much on this subject in some prior Eye of Prophecy articles. For purpose of this article, I will simply summarize by pointing out two amazing proofs found in the historical record of the Bible. (1) God’s own statement that only he can predict the future with 100% accuracy. Hundreds of these prophecies have come to pass; dozens more are awaiting fulfillment. (2) The many miracles of Jesus to prove that he is who he said he is: The Son of God and God the Son. No other man has ever restored the sight of a man born blind, or turned water into wine, or walked on water, or fed thousands of people with five loaves of bread and two fish, or … on and on it goes. Culminating with resurrection from the dead! Will you be able to do that on your own when you pass from this earth? For anyone to reject the indisputable historical proof of fulfilled prophecy and divine miracles is to say what was said to begin this article: “Don’t bother me with the facts.” In other words it is a matter of the heart, not of the head. It’s, “I refuse to believe, no matter what the evidence shows.” It’s what Paul said about much of mankind to the Romans: “They know the truth about God because he has made it obvious to them … Through everything God made, they can clearly see his invisible qualities—his eternal power and divine nature. So they have no excuse for not knowing God. Yes, they knew God, but they wouldn’t worship him as God or even give him thanks…” (Romans 1:19-21). “This means that anyone who belongs to Christ has become a new person. The old life is gone; a new life has begun! And all of this is a gift from God, who brought us back to himself through Christ … For God was in Christ, reconciling the world to himself, no longer counting people’s sins against them … For God made Christ, who never sinned, to be the offering for our sin, so that we could be made right with God through Christ” (II Corinthians 5:17-21).